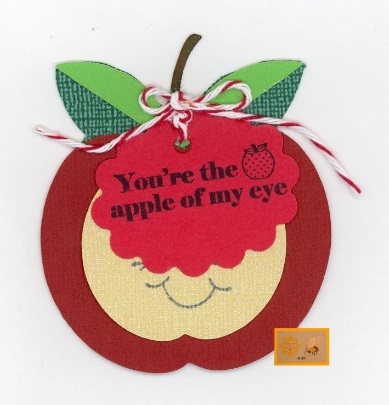 If one is to describe somebody as the Apple of My Eye, it implies that they cherish or favour someone and think more highly of that person than others. It is also commonly associated with describing or expressing feelings of love for someone. The origins of this commonly used phrase date back to Biblical times. The first known use of the phrase appeared in the King James Bible which was one of the first known translations of the Bible from Hebrew into the English language. This version of the Bible became the most widely printed in history. Later again the phrase famously appeared in Shakespeare’s ‘A Midsummer Nights’ Dream’. In more recent years the phrase featured as the name of song by the popular Irish band Bell X 1. Ten Irish facts about Halloween! 1. Halloween comes from the ancient Irish festival of Samhain, a day when the undead are thought to walk among the living, and we must defend against the evil spirits. 2. Samhain marks the end of the long days, and the drawing in of winter. In the same way the Celts celebrated Lughnasa, the festival bringing in the harvest, Samhain represents the beginning of winter, the “darker half” of the year. 3. An old favorite Irish Halloween game was to blindfold a person and have them place their hand on items spread across a table. Landing in a bowl of water meant emigration, a piece of earth meant a death in the family, a ring meant a weddingwas coming soon, and so on. 4. One of the greatest short stories by James Joyce, ‘Clay,’ refers to this custom – the main character, the spinster Maria, wants her hand to land on a ring, but touches a lump of clay instead, which implies death. 5. 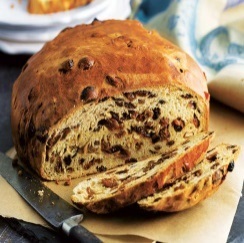 In a similar game, a ring was also hidden in the “Barmbrack,” which is a bread-like fruitcake specially made for the occasion. The person who got the ring in their slice – if they didn’t swallow it – would have a happy marriage ahead. 6. The symbolism behind appleseeds, and bobbing for apples, is fertility in the year ahead. The Celts believed that the pentagram shape represented fertility, and when an apple is cut in half, the seeds form a pentagram-like shape. 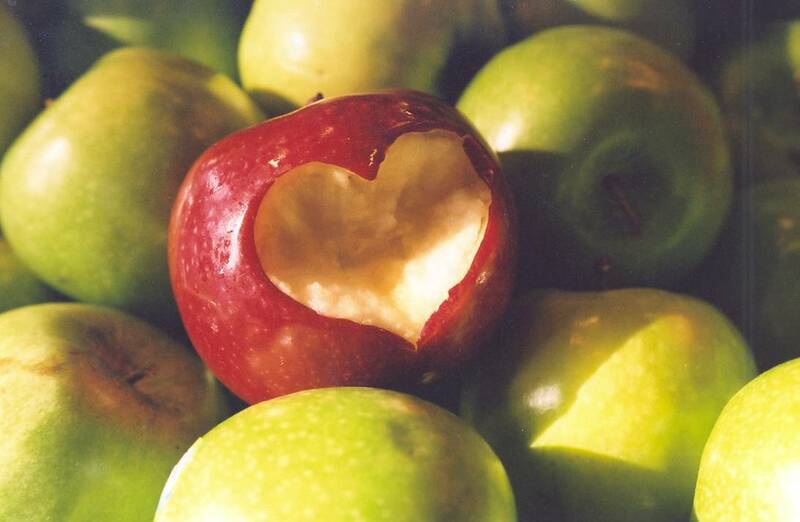 When couples bobbed for apples together on Halloween, if one of them caught one, they would soon be blessed with a child. 7. 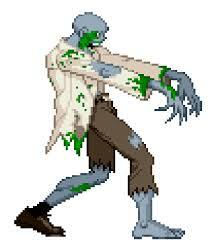 In Celtic legend, orange and black, the colours of Halloween, are the colours of death. 8. Druids were especially powerful on Halloween, when the spirit world and human world was closest. Their visions and predictions were listened to quite closely at this time. 9. 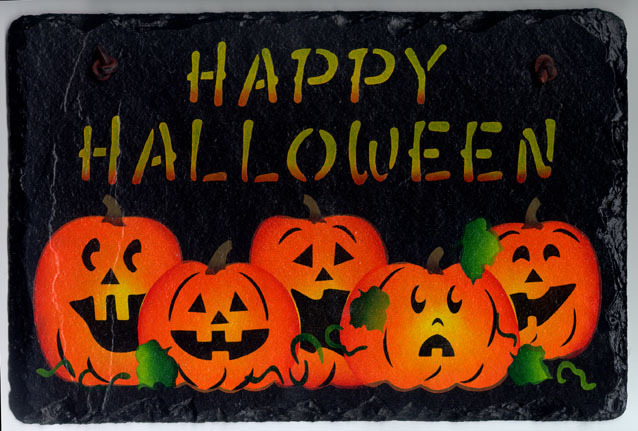 The custom of Halloween was brought to America by Irish famine emigrants in the 1840s. 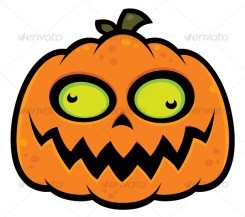 The use of pumpkins for Jack-o-lanterns only started in America, as they are native to the country. In Ireland, they usually used turnips instead. 10. As for the trick or treating, or “guising”, traditions, children and sometimes poor adults would dress up in the costumes and go around door to door during Halloween begging for food or money in exchange for songs and prayers, often said on behalf of the dead. ACET Idiom of the Week! 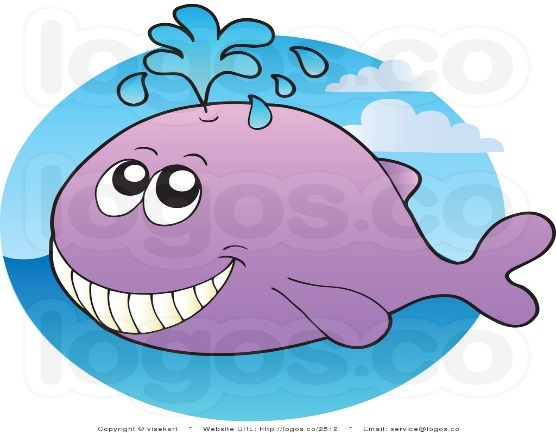 This week’s idiom is Have a whale of a time. This expression means to really enjoy yourself. Whales are one of the greatest creatures in the world. So when someone uses this expression, they are simply telling you to have the greatest time possible. Enjoy your holidays! I hope you have a whale of a time. We had a whale of a time at the Christmas party. This expression means to be very small, very young or both. This idiom originated in America back in 1814 when it used to be “knee high to a toad”. Along the way it changed to knee high to a frog, mosquito, bumblebee and jackrabbit. Now it is mostly known as a grasshopper. I haven’t seen you since you were knee-high to a grasshopper. Lucy was only knee-high to a grasshopper when she moved to Ireland. What are your memories when you were knee-high to a grasshopper? ACET Tip of the Week! 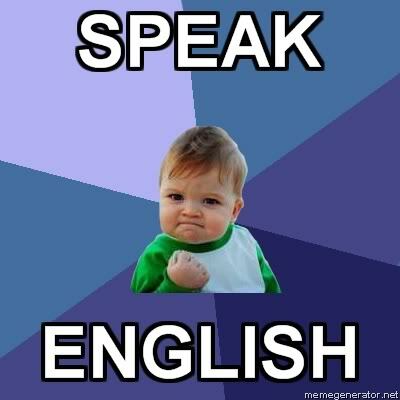 In the ELT classroom it is very beneficial to encourage learners to speak English only while in class. It helps them to learn and use functional and useful English as well as what is in their course books. They can express interest, boredom, share and react to news, make social arrangements with classmates etc. Perhaps the biggest benefit is that learners become more confident and feel less self-conscious when speaking English. Here at ACET we encourage learners to speak English as soon as they walk through the doors of the school, to chat to each other during the coffee break in English only. In class our teachers explain to the learners that only English is allowed in the classroom and this policy must be adhered to. Learners quickly become use to this and when they see that everyone is doing it, they will do so, too. As teachers we understand the importance of providing learners with the tools for communication. We teach new vocabulary in chunks, phrases and appropriate responses to questions, so that learners can use these to communicate effectively both in and out of class.